SS Rajamouli’s Baahubali is inching towards completion and today, Madan Karky, who was working closely with Rajamouli for the film’s Tamil version, revealed that the dubbing for the Tamil version has been completed. “Wrapped #Baahubali2 Tamil dubbing. Looking back at this journey that started 5yrs ago. Thank you @ssrajamouli @Shobu_ & team @BaahubaliMovie,” Madhan Karky posted on Twitter. Incidentally, it was Madhan who invented the fictitious Kilikili language for the first part of Baahubali. 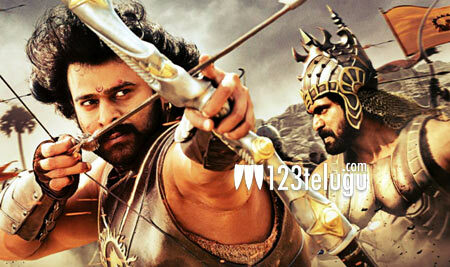 The film is going to have a massive release in Tamil as well, along with the Telugu version, on April 28.